Like many fly fishers, perhaps most, in my early learning phase, I felt overwhelmed with all the fly patterns available. It seemed like each pattern had its place in a well-rounded armamentarium. As a result, I carried box upon box of flies, limited only by the number of pockets on my vest. But over time, I realized that I only fished with a few of them, those that consistently caught trout. Now I usually have but two boxes with me, filled mostly with the ten trout flies that I’m never without, tied in various sizes and colors. Before I head for a stream, I certainly do my research. If necessary, I add a few patterns that may be unique to a watershed. But I always have the ten trout flies discussed below. They have caught trout for me all over the U.S., and many places about the world, including the picky trout of New Zealand. These are my go-to flies. I probably fish a woolly bugger more than any other fly. If a hatch is on, I am delighted to play the game of “match the hatch”. But reality is that hatches occupy but a small portion of the fishing calendar, and most of a trout’s diet consists of subsurface food. 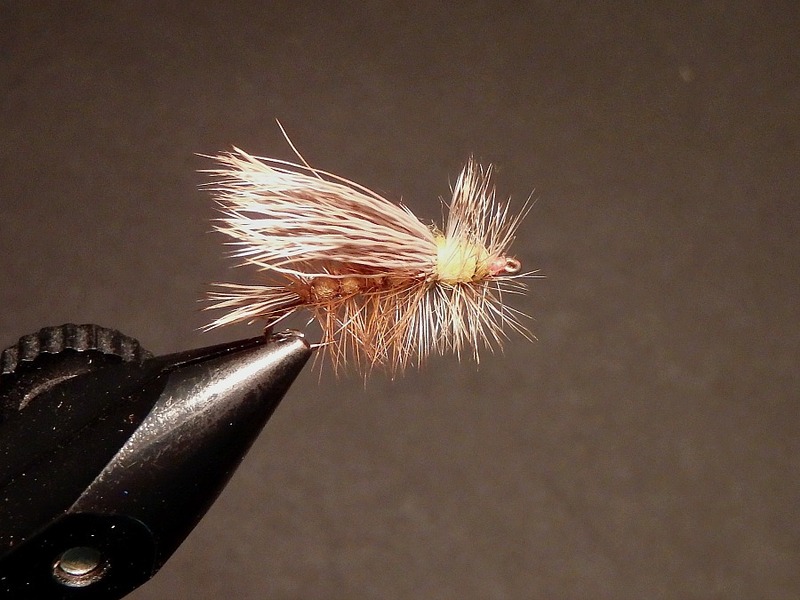 Some years ago, after reading Rich Osthoff’s “Active Nymphing“, I began to experiment with the woolly bugger. After many iterations, I now tie it with a rabbit-fur tail, dubbed body heavily palmered, and finished with hen hackle wrapped behind a beadhead. I tie it in hook sizes 6-12, most often fishing the 8-10’s . Rather than using split shot to adjust for depth, I use either one or two beads. For those flies with two beads, I add an additional hen hackle between the beads. I rarely fish my woolly buggers alone. Rather, I usually trail them with a nymph or wet-fly pattern. I tie the second fly, hook-eye to hook-eye, with 10-16 inches of tippet. It’s a productive tandem all year long on most streams. This is the fly that I most often fish in tandem with a woolly bugger. I have made a few modifications from the original pattern. Rather than using goose biot for the tail, I use a bit of Z-lon. Stone flies aren’t as prevalent in the waters that I fish, thus the change in tail. For the abdomen, I use copper-brown or dark-olive wire. For the thorax, I use peacock herl, or peacock ice-dubbing. 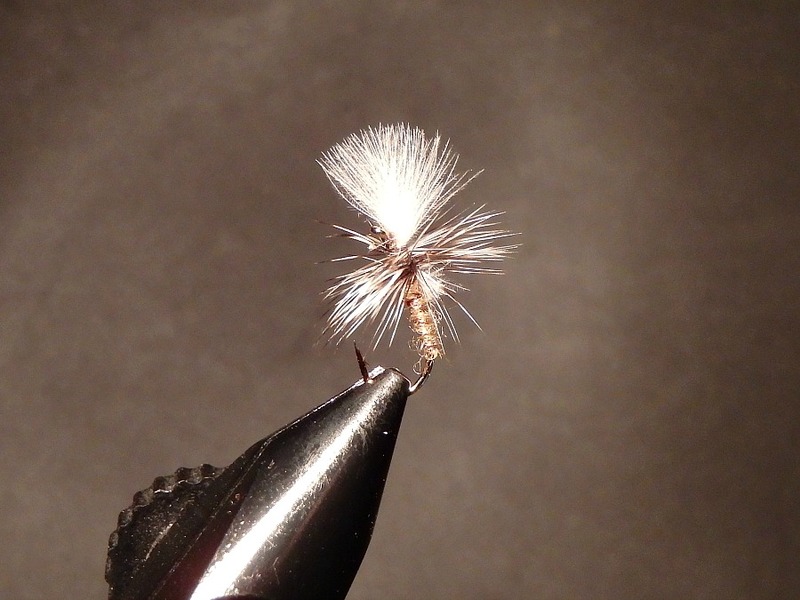 I tie all my nymphs in-the-round, and finish this pattern with a small hen hackle or ostrich herl collar. 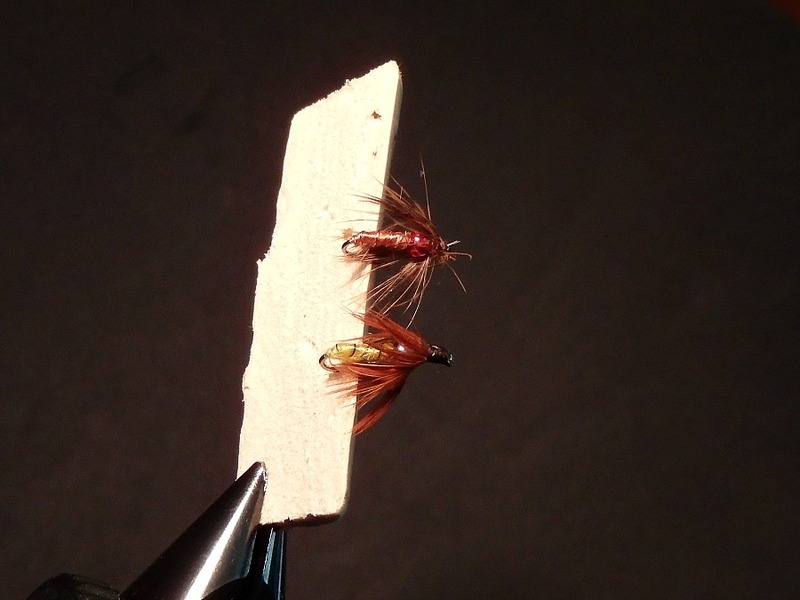 The soft hackle fly has been fished for hundreds of years. They fell out of favor in the early nineteen hundreds, when dry-fly fishing became the rage. But soft hackles are back! If you’re not sure, just look at the fly-shop bins; they are loaded with soft hackles. I tie them with a thread body, using shiny Ultra Thread. Most often, I use copper wire for ribbing. If I want to fish them in the film, I create a small thorax with dubbing. 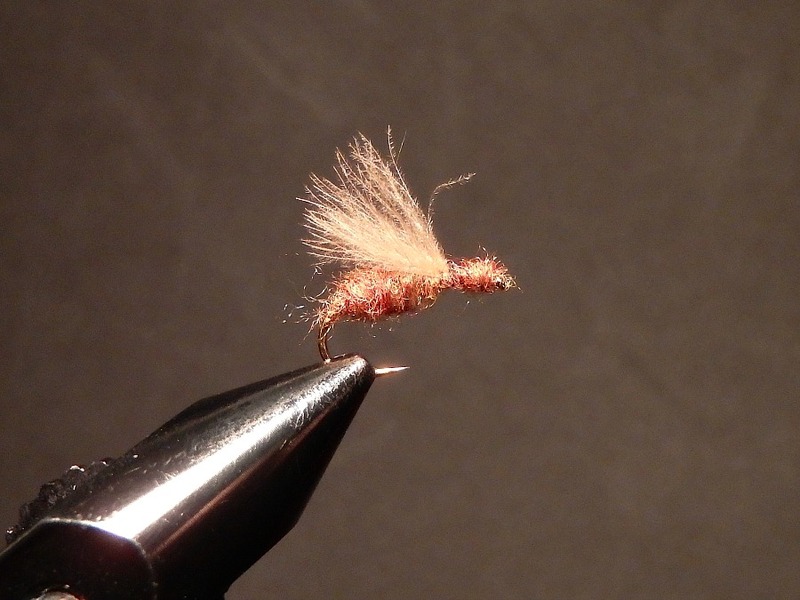 I finish the fly with a glass beadhead, and a twist of hen hackle behind the beadhead. If I want to fish further down in the water column, I use a tungsten bead for the thorax, and a twist of hen hackle ahead of the bead. I fish them in a variety of ways. Fishing the film, I cast upstream, striving for a long drift. Usually I use a tandem of a dry fly and the glass-bead soft-hackle, tied hook-bend to hook-eye. 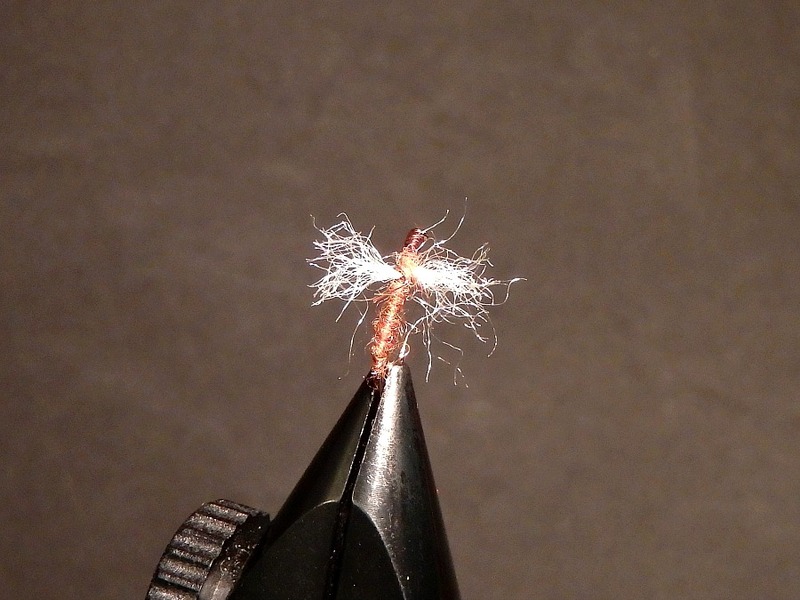 The soft-hackle is trailed only 6-8 inches behind the dry fly. When fishing deeper in the water column, I use a variety of tandems. Bugger-soft hackle, soft hackle-soft hackle, nymph-soft hackle, and streamer-soft hackle are all good combinations (Fish Tandem Flies and Catch More Trout). I again cast upstream, and fish them with a tight line. Midges are the most ubiquitous of the aquatic insects. They are usually the predominant bugs in stillwaters and tailwaters. Spring creeks often have them in abundance as well, and they may be found in the slower sections of freestone streams. 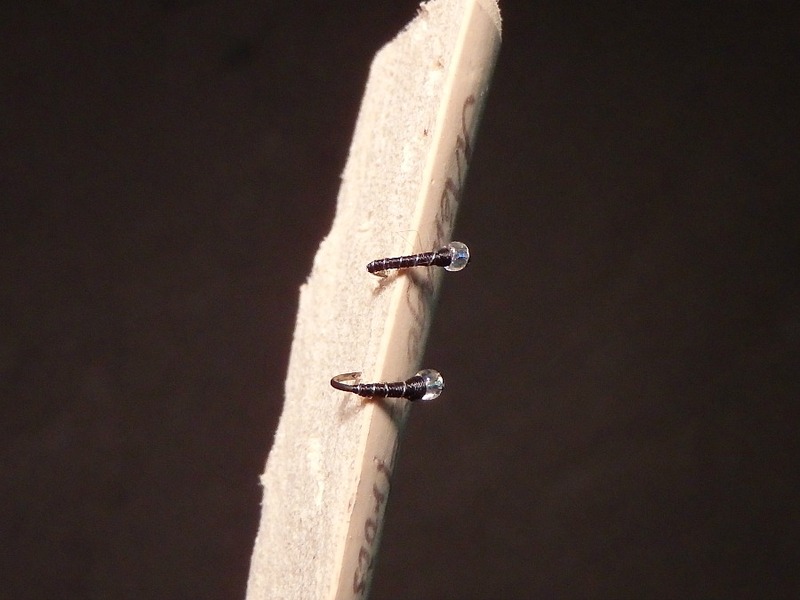 I tie them with either a glass or silver bead head. Both patterns fish in or just below the film. For visibility, I trail them behind a small dry fly. If I want to fish deeper, I trail one of them behind a small woolly bugger or weighted nymph. I am admittedly not a big streamer fisher. Having said that, it’s hard to beat a streamer for pulling big fish out of their holding lies. I tend to use sculpin-type streamers, that is, streamers with big heads and longer, narrow abdomens. The reason is simple, sculpins like the same cool water as do trout, and are therefore a common forage. For color choice, I look at the stream bottom. Sculpins forage on stream bottoms, and their colors help camouflage them. 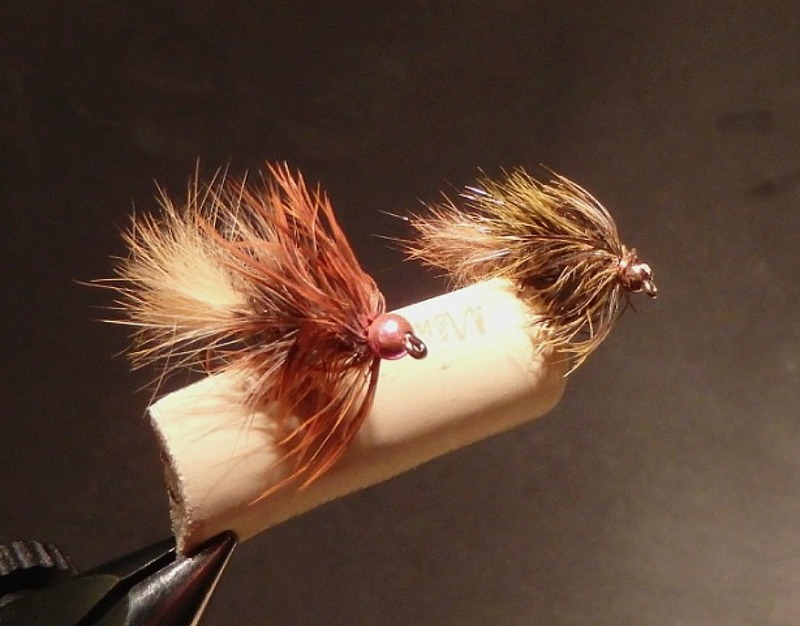 Flies tied in shades of tan or olive generally cover the bases. Usually I cast them quartered upstream. I give them lots of action as they drift downstream, darting among the rocks. Many times I trail a nymph or soft hackle behind them, tied hook-eye to hook-eye. The parachute Adams is likely the most frequently fished attractor fly world-wide (parachute Adams) I strongly favor flush-floating dry flies in the belief that they represent a more vulnerable fly than traditional upright patterns. To further the concept of vulnerability, I use Z-lon for the tail, imitating a disabling shuck. It is a highly visible pattern, and I often use it as a sighter when fishing hard-to-see flies, such as spinners and emergers. 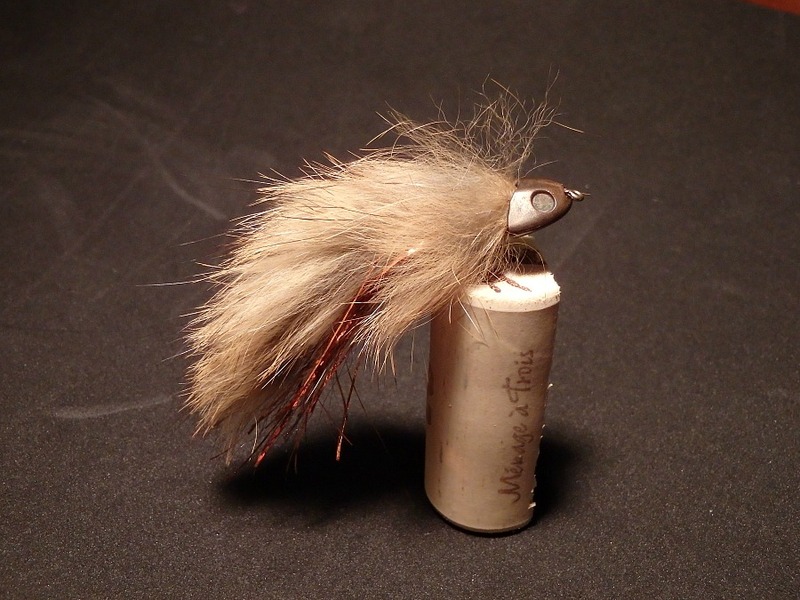 I think that cripples are the most underused artificial flies. 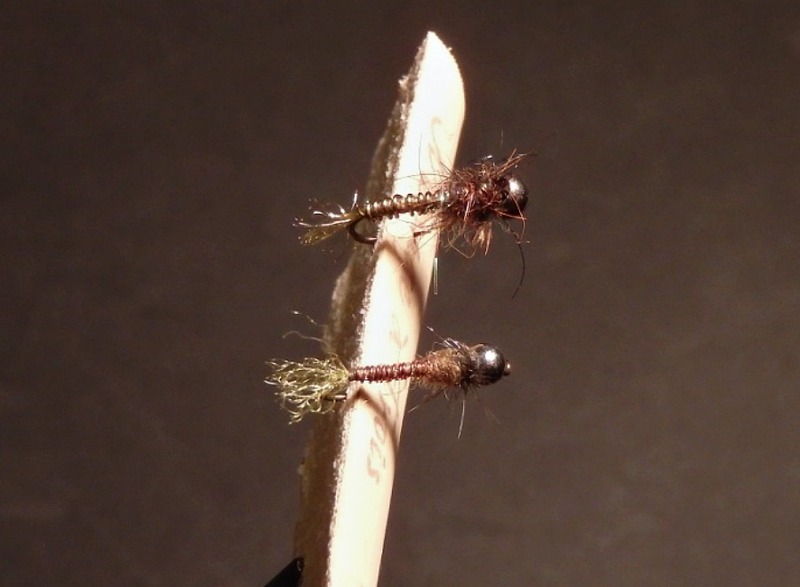 Many times, trailing a cripple behind a dry-fly pattern during a hatch will save the day (Quigley Cripple- Shuck or no Shuck).There are a variety of cripple and/or emerger patterns, but the Quigley, hanging vertically, seems to be the most effective for me. I usually trail it with a dry fly, tied hook-eye to hook-eye, 12-16 inches apart. 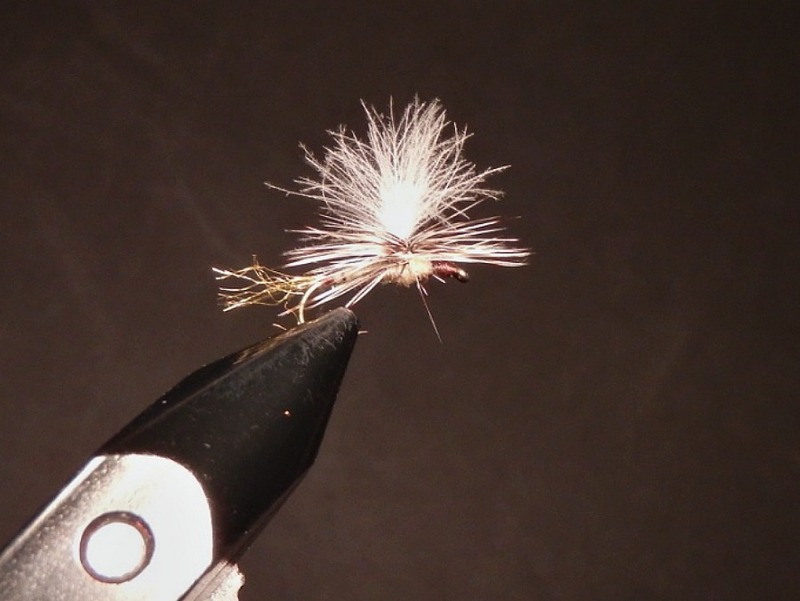 Another under utilized fly is the spinner pattern. Following mating and egg-laying, “spent spinners”, or exhausted flies, fall to the water’s surface. They are easily taken by the trout, who seem to recognize their inability to fly away. Many evening hatches are actually accompanied with mating and egg-laying activity. Consequently, if I’m faced with refusals to my dun, I will fish a spinner or cripple. I tie them hook-eye to hook-eye to the more visible dun. A lot of mating and egg-laying continues during the night. By morning, quiet eddies have often collected the spent spinners. Thus fishing a spinner as an attractor pattern while waiting for the first hatches of the day is often a good strategy. Every short list of trout flies must include a terrestrial. ‘hoppers, crickets, beetles, ants- everyone has their favorites. For me, it’s a winged cinammon ant pattern. It is readily seen, commonly present, and trout love them! Another attractor pattern, tied in different sizes, it imitates a variety of trout foods, such as caddis, ‘hoppers, and so on. It is readily seen, very buoyant, and able to easily support a nymph-dropper. So these are my ten go-to trout flies. My box always includes them, tied in various sizes and colors. I’m sure that each of you has your own short list of go-to flies. Please share them with us! Written by Al Simpson, June 2018. 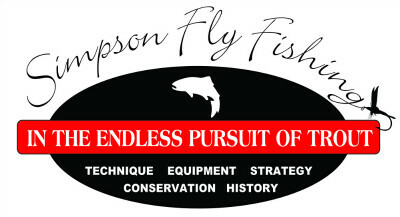 Your website is a balm for sore eyes for all of us who love trouting with flies. One minor correction from a long time teacher and oft published fiction writer. It would be unfortunate for such a quality production to have anything (however slight) take away from the overall excellence of your work.